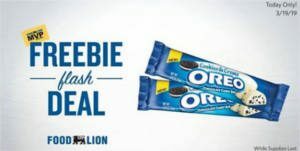 Load a coupon for a FREE Cookies & Crème Oreo Candy Bar at Food Lion to your MVP card. Expires 03-27-2019. Offer valid while supplies last.